Midknight Robin interview members of the University of Nebraska gymnastics team. Head coach Chuck Chmelka, Anton Stephenson, Griffin Kehler, Jake Bonnay, and Kyle King. 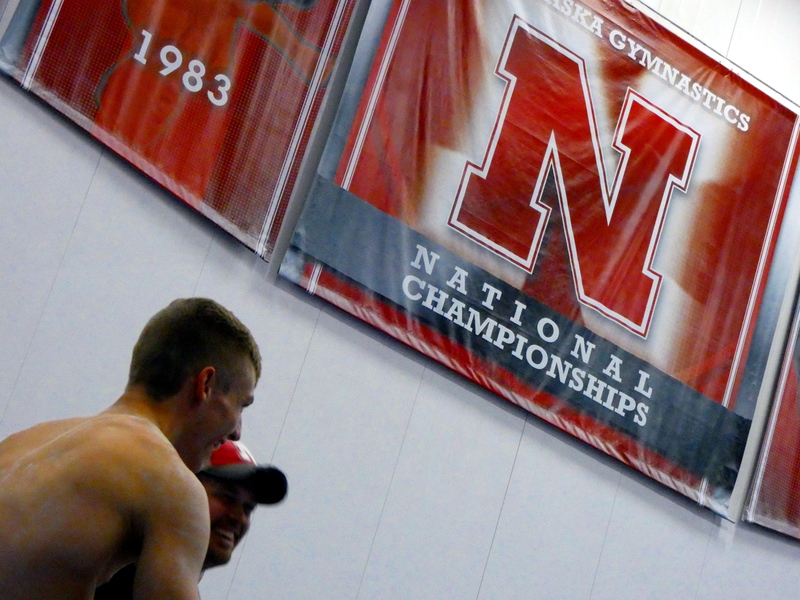 Nebraska finished first as a team on floor last season at NCAA finals. 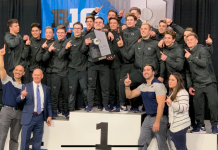 Team captain Anton Stephenson won the vault title at Big Ten’s and U.S. Championships. This past summer Jake Bonnay competed at the Canadian Championships and earned a spot on the national team. 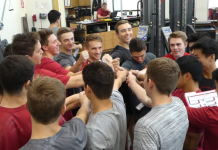 At the 2018 NCAA Championships, Griffin Kehler captured a All-American honors on floor and is planning to debut new skills this upcoming season. Kyle King looks to continue his gymnastics career and plans to compete for a U.S. National Team spot at the 2019 Winter Cup Challenge.